The line “important car for Jaguar” was bandied about rather liberally around this time last year amongst the world’s motoring press. Why? Because Jaguar had just stuck a bunch of journalists behind the wheel of its first compact saloon car since the X-Type, the XE. A year on, though, and we’re getting to grips with another “important car for Jaguar”. Only this time, it’s importanter. 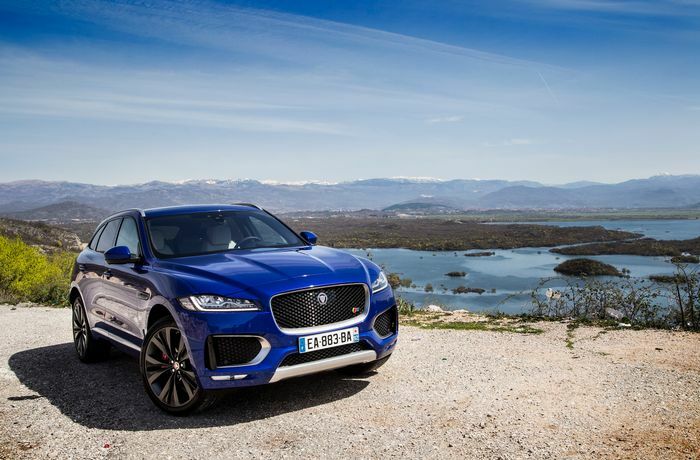 It’s the new F-Pace SUV, and while the XE presented a galactic leap forward that further dragged Jaguar out of its wilderness years, nailing this big crossover is essential. This area of the market is massive, and is set to grow by another 50 per cent. So, under the sort of pressure that even Freddie Mercury might have struggled to cope with, how has Jaguar fared? 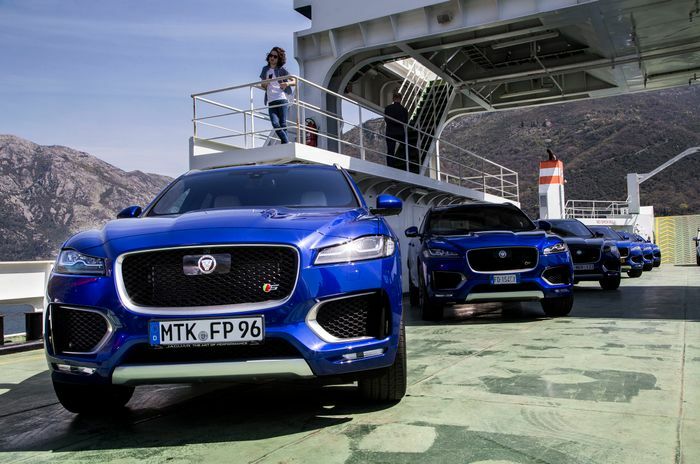 Certainly on the looks front, the F-Pace is a roaring success. It’s the spit of the concept car that spawned it - the C-X17 - and although it does borrow a fair bit from the XE and XF saloons, it all comes together in a chunky yet sleek package with a nicely low drag coefficient of 0.34. In an area of the market full of aesthetically challenged SUVs (I’m thinking BMW X4 here) that are somehow styled to make their drivers come across as utter bastards, the F-Pace is a gorgeous and welcome breath of fresh air. The First Edition cars look particularly stunning too, thanks to Caesium Blue paintwork and 22-inch wheels. The stuff under the skin is of even more interest. Rather than stick this comely body over the innards of something from the Land Rover stable, Jaguar has used its new aluminium-intensive architecture - the same flexible platform that sits under the XE and XF - as a basis. 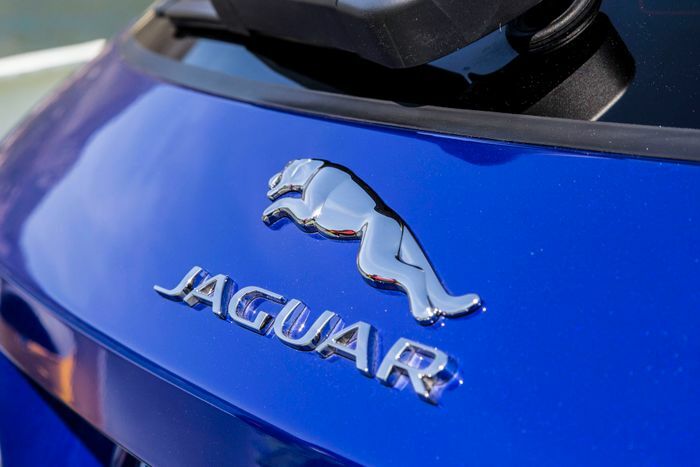 That means a similar range of engines are on offer - a 178bhp Ingenium diesel, a 297bhp, 3.0-litre V6 turbodiesel and a 3.0-litre, 375bhp supercharged V6 petrol. Naturally, we grabbed the keys to the petrol first. Normally the idea of a six-pot car with almost 400bhp and a 0-62mph time of 5.5 seconds would excite me, but this time around, I approached the top-spec F-Pace S with trepidation. Sure, it’s the same lump you get in the F-Type S, but without a pair of drainpipe-sized exhausts out back, I maintain it’s not a terribly characterful engine. And in the V6 XF S we had in recently, it was borderline boring. But that’s not the case here. Oh no. The V6 petrol makes a better case for itself here than it does in both the XF and the XE - in Dynamic Mode it sounds louder and throatier, and feels more eager. 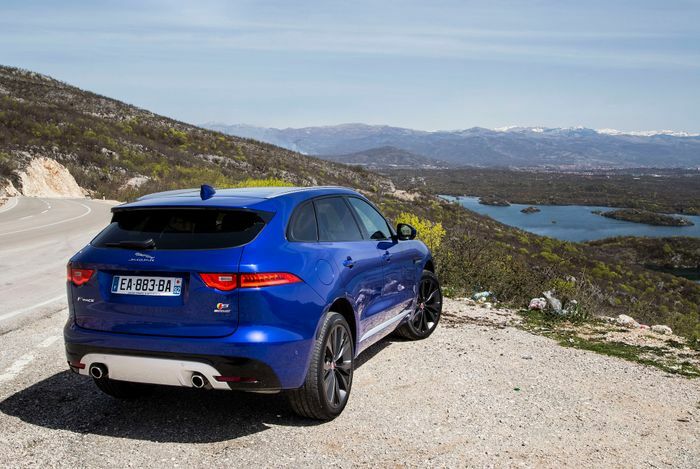 You can tell Jaguar is gunning for the Porsche Macan with the F-Pace, as the occasional spit from the exhaust pipes angrily bounces off the nearest cliff face. Oh, and Montenegro - the place we were sent to test the car - is full of those. Jaguar insisted the reason it deposited us in this mountainous country with its extraordinary - and often uneven - roads was not bravery, rather confidence in its product. After all, handling should be high up on the agenda for any Jag. 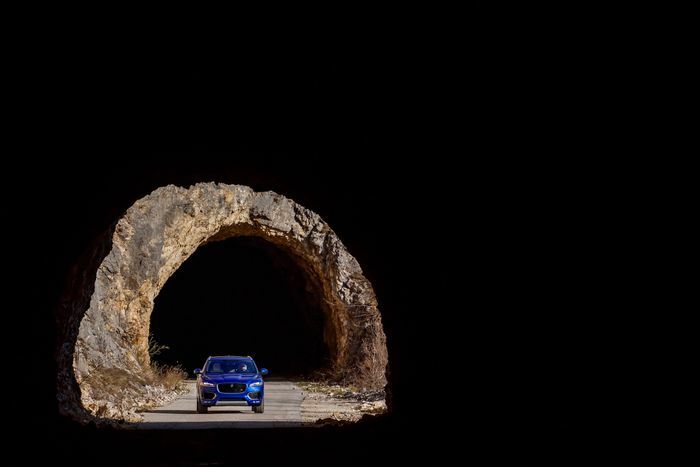 The confidence isn’t misplaced: the F-Pace is a gem to drive. As with the electric power steering systems Jaguar uses in its other cars, you don’t get an abundance of feedback from the road, but I don’t mind that, since it’s so consistent and decently weighted. And yes, this particular F-Pace tips the scales at a relatively porky 1861kg despite the extensive use of aluminium in its construction, but it handles like pretty much no other near two-tonne, jacked-up car out there. Changes of direction are dealt with quickly and confidently, and the four-wheel drive system - which sends 90 per cent of torque to the rear most of the time - allows you to give it a boot-full on each corner exit with little more than a very slight protest from the rear tyres. It’s not until you steam into a corner a little too quickly and induce understeer that you do feel the F-Pace’s reasonable mass and ride height. The rest of the time, it’s a joy to chuck around, and feels like something far smaller and lighter. This isn’t witchcraft, it’s all down to the chassis. Again, it’s all deja-vu from what you might have heard about the XE and XF. Up front we have double wishbone suspension rather than common or garden MacPherson struts, and up back a conventional multi-link system is shirked for an integral link setup. Neither is light, but it’s worth the weight penalty. 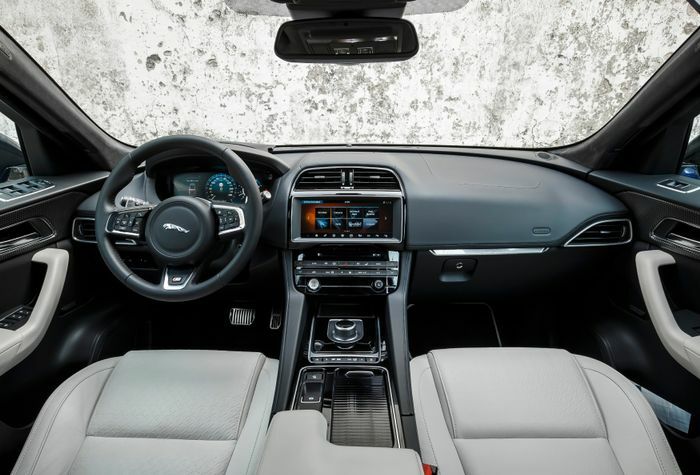 It’s normally at this point when writing about a Jaguar that I’ll have to turn my attention to the infotainment and call it out for being pretty much garbage, but praise be, the F-Pace has received the company’s new InControl Touch Pro system. It’s not perfect - one less sub menu to get up the heated seat controls might be nice for instance - but the 10.2-inch touchscreen at its core is way more responsive than the clunky old system. At last, this is a Jaguar Land Rover product that won’t make you want to batter the centre console to death with a blunt object. Since the infotainment system isn’t terrible, that doesn’t leave a lot left to moan about. I’m not fond of the way the interior is lifted pretty much straight from the XE - although it feels much better built here - the pedals sit too high for my liking, and the ride is too busy if you spec the 22-inch wheels. Other than that? 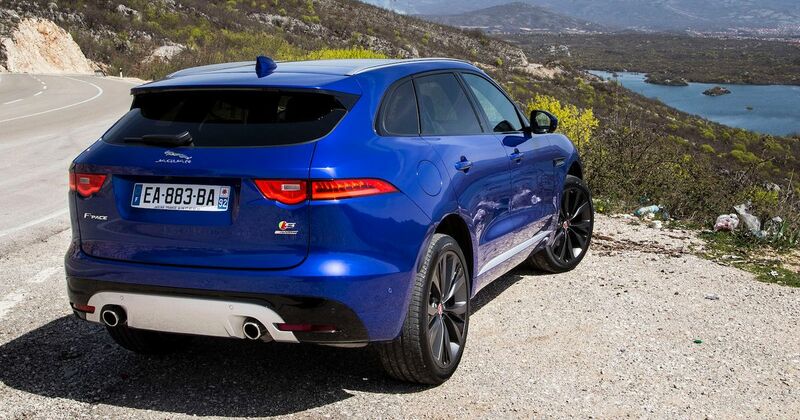 Well, F-Pace still seems like a daft name, but I’m getting used to it. 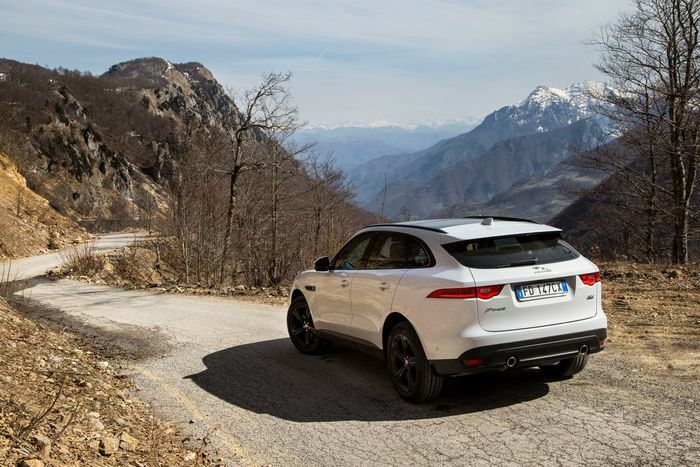 Should you feel the need, you can tackle a little bit of the rough stuff in the F-Pace. Ground clearance is decent, and there’s a system called ASR - Active Surface Response - a piece of tech developed with the help of Land Rover which can act as a sort of cruise control for off-roading. Its talents only go so far, and that’s the way it should be. If you really want to go and muck around in the mud, you’d get a Discovery Sport. Where the F-Pace is most at home is on the road, smashing into the rev limiter with a tremendous noise belting out the rear. In many ways the 3.0-litre diesel S - yours for the exact same £51,450 as the S petrol - is the better fit for the car thanks to its punchy 516lb ft of torque (the petrol makes do with 332) and damn near silent operation making for graceful, effortless progress. The 178bhp 2.0-litre diesel - starting at £34,170 - feels decently brisk despite a leisurely 8.7 second 0-62mph time and is the one that most people will buy, but if you’re into driving, get the V6. It’s very much like a softer, more comfortable F-Type with room for five people - not to mention all their stuff thanks to class-leading boot space - and when you think of it that way, the F-Pace becomes a car that even the most SUV-phobic petrolhead might give a nod of appreciation. Recommended car throttle shop Worldwide Shipping In The CT Shop Car Throttle Submit Your Videos To Get Featured On Our Social Channels Blog Why A Brand New Interior Is The Processed Meat Of Car Smells Blog Here's Why A ‘Four-Door Mustang’ Could Work... But Probably Wouldn't Blog ‘My’ Honda Civic Type R’s Cruise Control Is So Patchy I’ve Stopped Using It Blog The New CLA Coupe Is Odd, Even For Niche-Happy Mercedes Blog The Hybrid Car Is Already Dying And Here's Why It Makes Us Happy Blog The Jaguar F-Type Isn't A Proper Sports Car, But I Love It Just The Same Blog BMW’S FWD 2-Series GC Is The Necessary Evil We Hoped We’d Never See Blog Does The Up GTI Really Deserve Its Name?